Meet the world’s first write & erase robot. An intelligent writing robot that can work on any vertical surface and turn any wall into a wall of wonder! Scribit – two nails and a plug, that’s all you need to install. Start drawing with four colors in less than five minutes. Let’s try another image, draw and erase as many times as you want, print on your wall a different image every day! Any surface is game, whiteboard, glass or standard plaster. 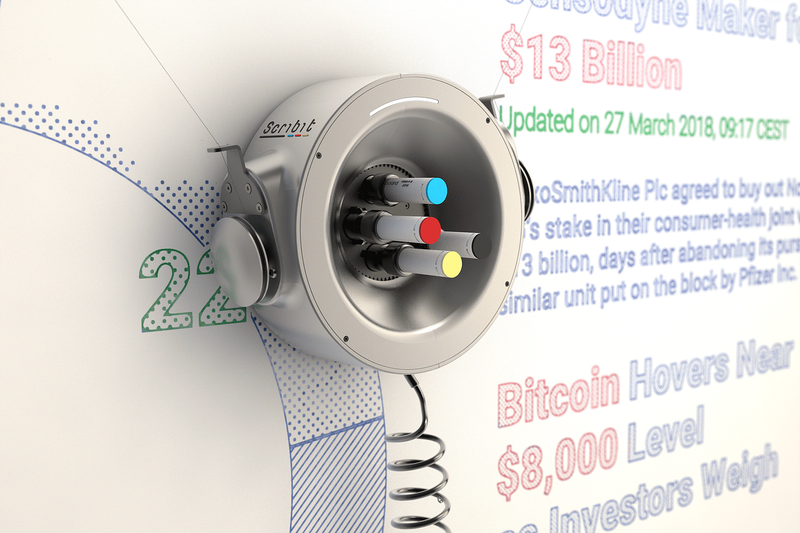 Scribit is an intelligent writing robot that can work on any vertical surface. Happily connected, share or source any content from the web. You don’t need no screen – only a wall. Get ready for the incredible upcoming launch!